Kwik Trip has officially begun construction on three of their new locations for the Duluth area. The first is along Miller Trunk Highway in front of Menards in Hermantown, the second at the corner of Raleigh Street and Grand Avenue in West Duluth and the third at the corner of Central Entrance and Arlington Avenue. There still are additional locations planned for the area including one more in Superior on the south side of 21st Avenue East and there are rumors of an additional location out in East Duluth. Most recently a location was planned for the corner of 4th Street and East Sixth Street in East Duluth. That site is currently home to an auto shop along with Last Chance Liquor which will be closing this summer as a the owners focus on a new home brew store they are opening in Fitger's. Corporate officials at Kwik Trip will not confirm that the project originally planned for Sixth Street is dead... nor will they confirm that it it is alive. It is well known that Kwik Trip is wanting to enter the East Duluth market. Some sources are saying that the company is back to looking at London Road for a location as they had originally hoped for. A while back it was floated that Kwik Trip was to be part of the Burger King redevelopment at the corner of 21st Avenue East and London Road. We all know that not to be true now as Harbor Bay Real Estate Advisors is moving forward with their plans for a large mixed use project the site. You can see that project here. What can be said is that Kwik Trip is not finished expanding... not close at all. The company will soon begin construction on a new location in Moose Lake next to a recently opened McDonald's (you can see that project here). There's also plans for another location closer to Duluth possibly in Esko. Then there's virtually untapped market of the North Shore and the Iron Range. Sources say the Iron Range will be the next stop for this rapidly expanding company most likely in 2016. 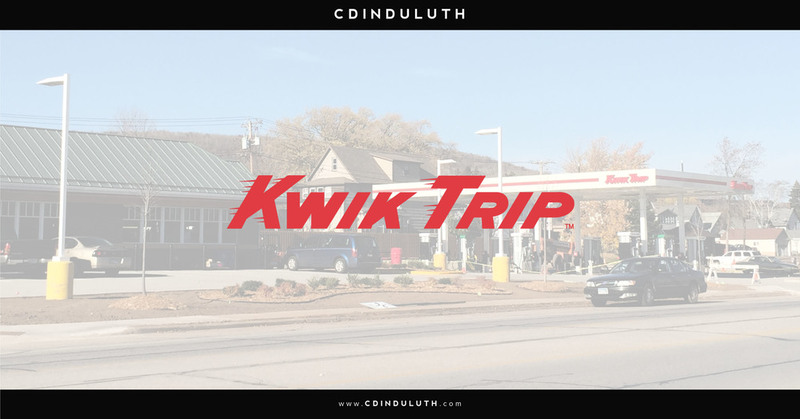 We've been in contact with Kwik Trip representatives and will have opening dates for the new store locations within the coming weeks. Above: An excavator waits to demolish structures on site in order to make way for a new Kwik Trip at the corner of Grand Avenue and Raleigh Street in West Duluth.